Carrying Case ideal for CAS S2000 JR 30/60 lbHard Shell Carry Case with foam padding inside for the 30 lb or 60 lb. 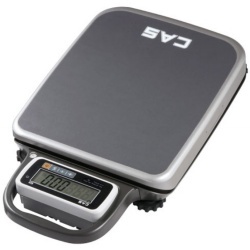 capacity CAS S2000 JR price computing scale without the pole. CAS S-2000 JR Price Computing 15 lb VFDCAS S-2000Jr. 15 lb. AC power only NTEP legal for trade price computing scale w/ RS232 serial port and is ideal for direct sale of commodities in stores such as: supermarkets, delicatessens and groceries. CAS S-2000 JR Price Computing 30 lb VFDCAS S-2000Jr. 30 lb. AC power only NTEP legal for trade price computing scale w/ RS232 serial port and is ideal for direct sale of commodities in stores such as: supermarkets, delicatessens and groceries. CAS S-2000 JR Price Computing 60 lb VFDCAS S-2000Jr. VFD display 60 lb. 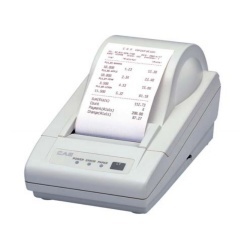 AC power only NTEP legal for trade price computing scale w/ RS232 serial port and is ideal for direct sale of commodities in stores such as: supermarkets, delicatessens and groceries. 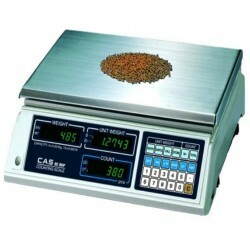 CAS S2000JR Price Computing 15 lb LCD PoleCAS S 2000 JR. 15 lb. Pole LCD display AC/Battery Power NTEP legal for trade price computing scale w/ RS232 serial port and is ideal for direct sale of commodities in stores such as farmers markets, fudge shoppes, and neighborhood groceries. CAS S2000JR Price Computing 15 lb VFD PoleCAS S-2000Jr. 15 lb. AC power only NTEP legal for trade price computing scale w/ RS232 serial port and Pole. 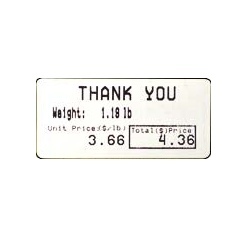 Ideal for direct sale of produce at fruit stands or chocolates in a fudge shoppe. Cap: 15 lbs. Pole Display. 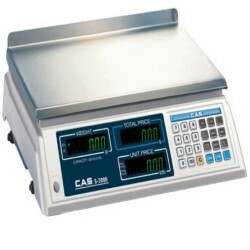 CAS S2000JR Price Computing 30 lb LCD PoleNTEP Legal for Trade Price Computing CAS S2000 JR 30 lb. LCD Pole display AC/Battery Power. Features RS232 serial port and is ideal for direct sale of commodities in stores such as farmers markets, deli's, chocolate shoppes, and groceries. 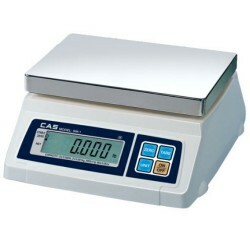 CAS S2000JR Price Computing 30 lb VFD PolePrice Computing Scale that is ideal for chocolate shoppes and the local neighborhood grocery. The CAS S-2000 JR. 30 lb. VFD Pole Display NTEP legal for trade scale w/ RS232 serial port is the perfect solution. AC Power Only. 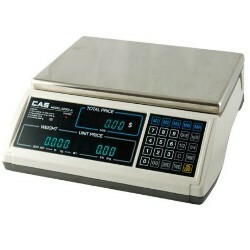 CAS S2000JR Price Computing 60 lb LCD PoleNTEP Legal for Trade CAS S-2000 JR. 60 lb. 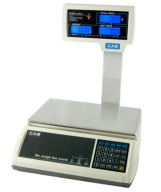 price computing scale w/ RS232 serial port and is ideal for direct sale of commodities in stores such as supermarkets, delicatessens and local neighborhood groceries. Capacity: 60 lbs. Pole Display. Power: AC/Rechargeable Battery. 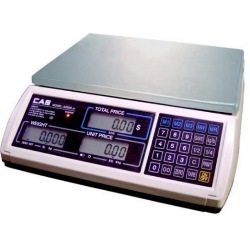 CAS S2000JR Price Computing 60 lb VFD PoleCAS S2000JR Price Computing Scale with VFD Pole display comes complete with 60 lb. capacity, runs on AC power only and is NTEP legal for trade. The scale also features an RS232 serial port. Perfect for chocolate shoppes. 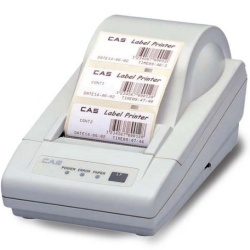 CAS Space S-2000 Price Computing ScaleThe S-2000 series is ideal for deli's, bakeries, candy and coffee shops, convenience stores, hardware stores and more. Display on front and back. 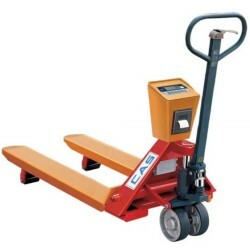 Features a 60 pound capacity and 999 PLU's. 115VAC power only.